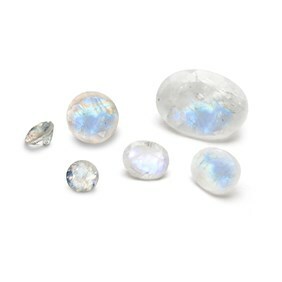 Moonstone is one of our most popular gemstones, due to its glowing sheen of blue and white which resembles magical moonlight. 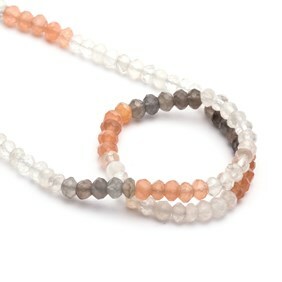 It is part of the Feldspar group and reveals the beautiful play of colour known as adularescence. 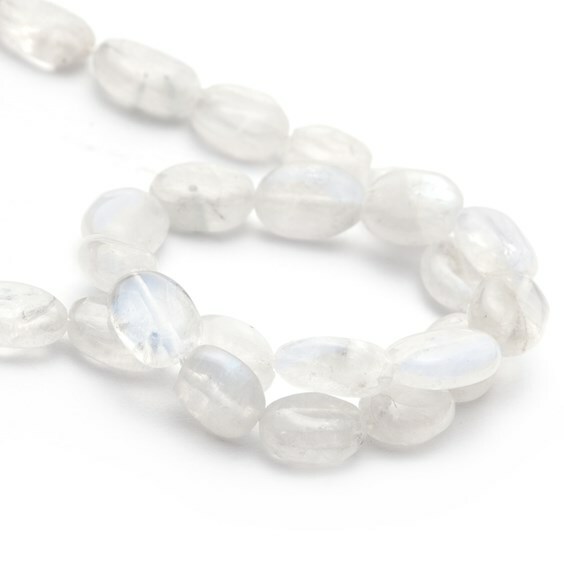 Moonstone has inclusions known as 'centipedes' due to what they resemble under a microscope. 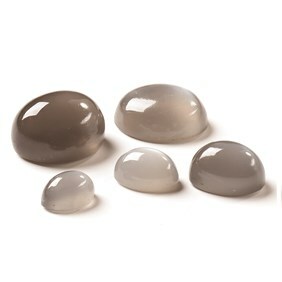 Moonstone comes in a range of colours including grey, brown, green, pink and rainbow. 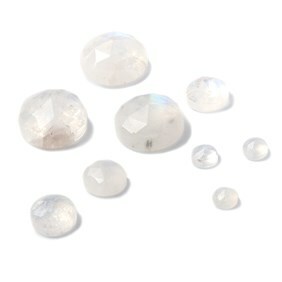 Moonstone is mined in India, Sri Lanka, Myanmar, Australia, Madagascar, Tanzania, and Brazil. 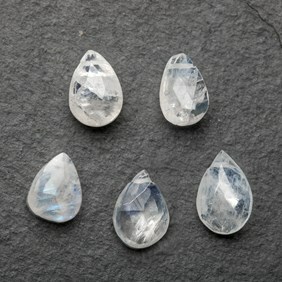 It measures 6-6.5 on Moh’s hardness scale. 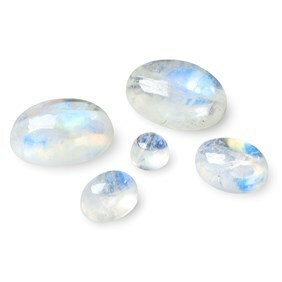 Moonstone is extremely popular in jewellery designs, despite not being a hard stone. 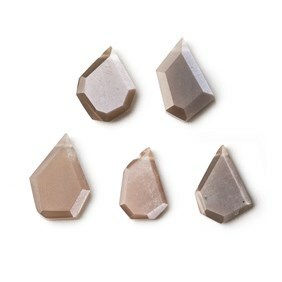 Care needs to be given when using moonstone in designs as they can be damaged easily, so always ensure they are in a protective setting. 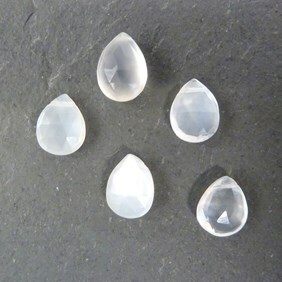 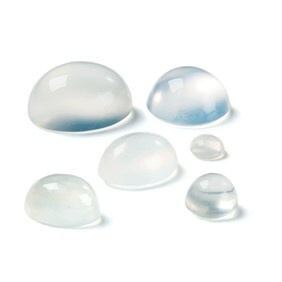 At Kernowcraft, we're excited to share such wonderful moonstone gemstones to use in your jewellery designs. 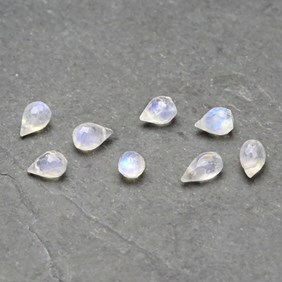 We have sourced white moonstone cabochons, blue moonstone cabochons, black moonstone cabochons and rainbow moonstone cabochons in a range of sizes. 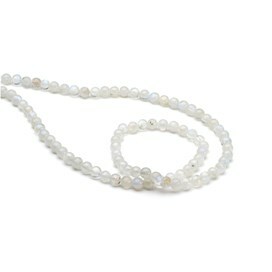 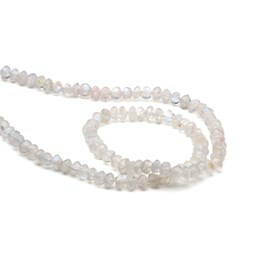 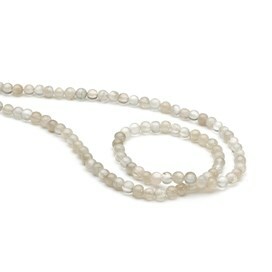 We also have a range of moonstone briolette beads and moonstone round, oval, nugget and rondelle beads. 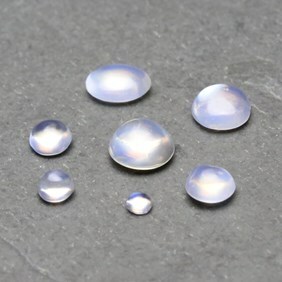 Rainbow moonstone is extremely popular among our customers, it is an optical phenomenon displaying a bright blue adularescence as well as an iridescence that breaks white light into a spectrum of colours. 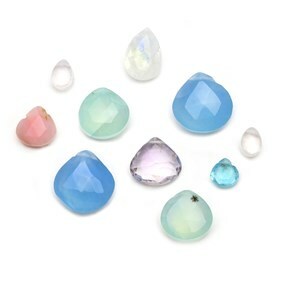 Discover our range of rainbow moonstone cabochons, briolettes, beads and faceted stones. 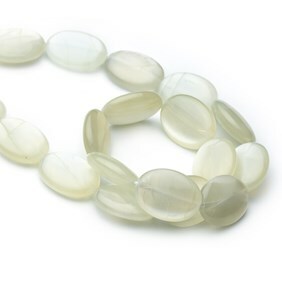 Moonstone is thought to be a very calming stone, associated with being out at sea. 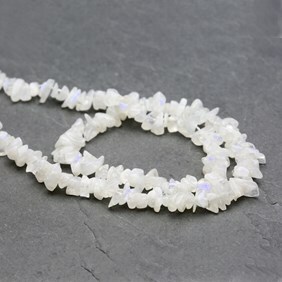 In ancient India and Rome, it was believed that moonstone was created by rays of moonlight.